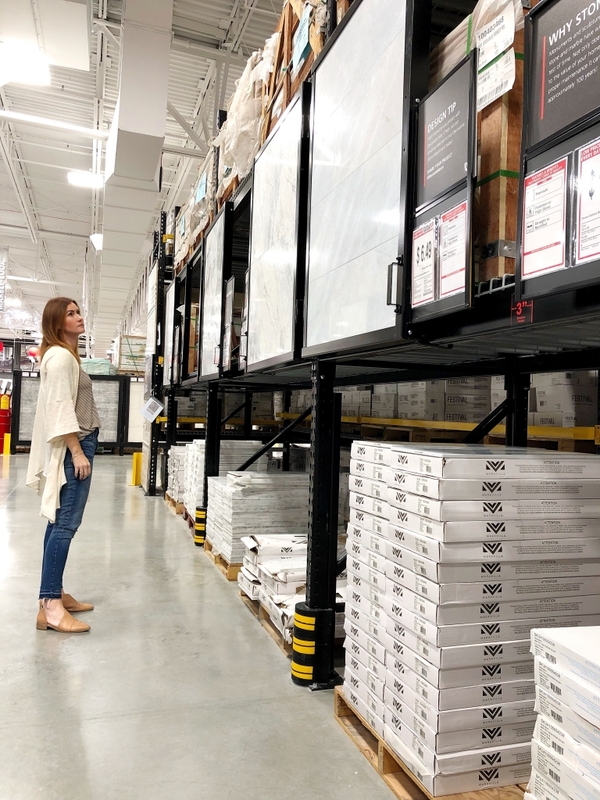 I’m sure you all have your go-to stores you frequent while doing home renovations and as I’ve mentioned a few times during our kitchen refresh, Floor & Decor has been that store to us. 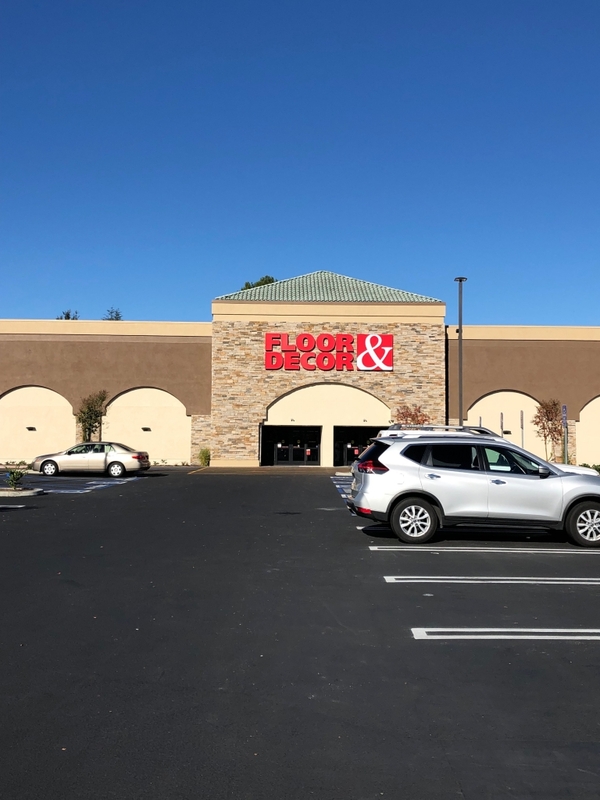 They recently opened up a new location in Mission Viejo, CA, just minutes from my home, so I was honored with the chance to work with them and go take a tour of their new store. 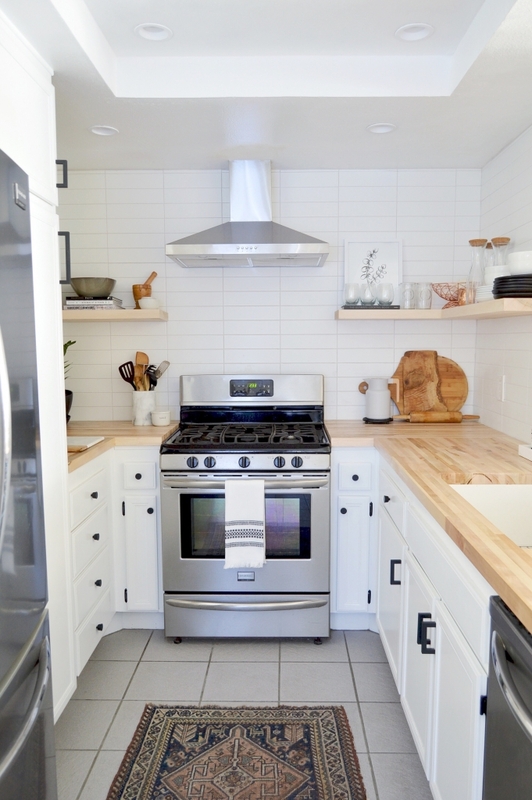 We went with the builder grade maple countertops and couldn’t be happier with the quality, the color and the price. 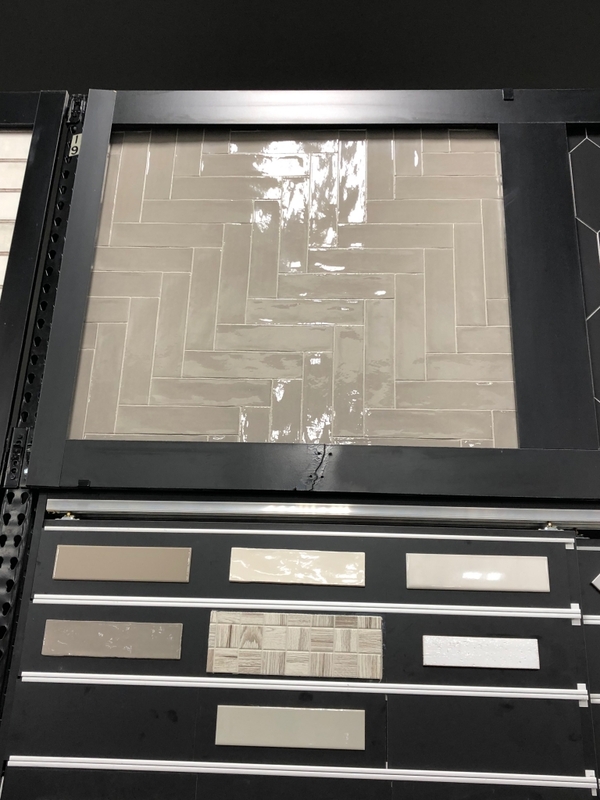 I had so much fun wandering around the store coming up with dream designs in my head and just have to share some of my favorite tile I found. 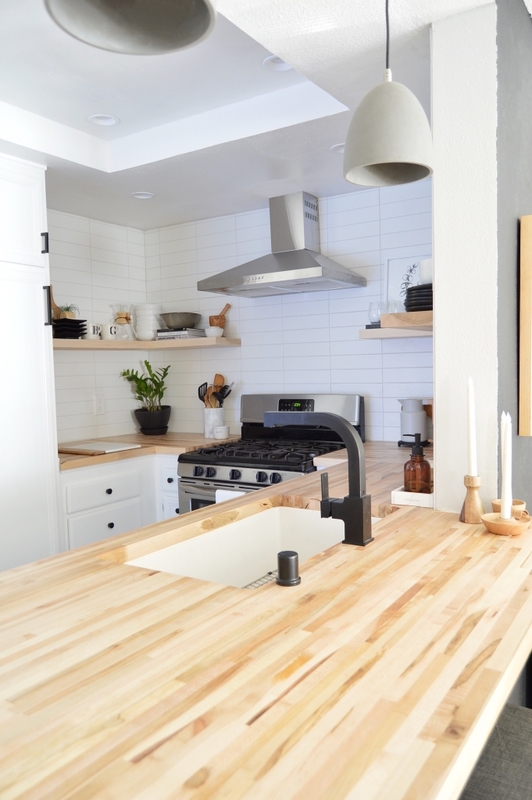 These Artisan porcelain tiles had such an organic feel to them and I loved the idea of using them as a backsplash in a kitchen with walnut countertops. It would make for such a cozy, moody kitchen. Now, if you take a visit to a Floor & Decor near you, just know they offer free design assistance in case all the options feel way too exciting to pinpoint exactly what you are looking for. 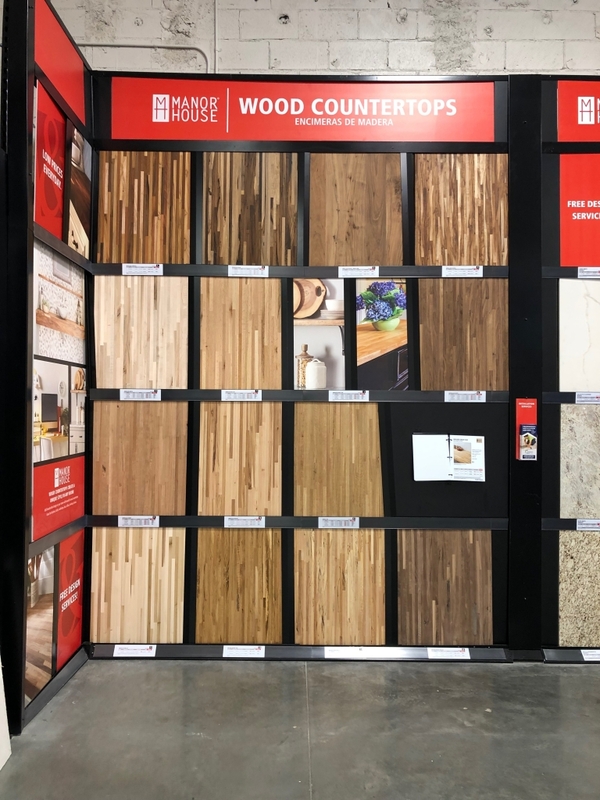 As I wandered away from their tile section and ventured into their flooring one I could truly see how they have something for everyone. I could immediately see flooring one of my sisters would use and then could see an option that I loved. Having very different style than my sisters and yet, being able to find an option for us all, just shows how Floor & Decor really has such a wide variety of selection. 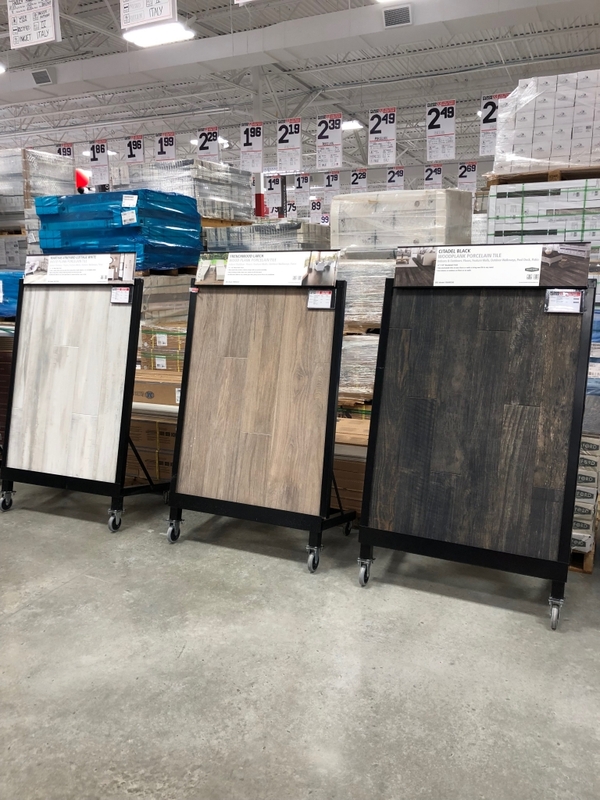 This wood plank porcelain tile seemed like a great option for anyone who wants the warmth of wood, but needs the durability of tile. The color variations could fit into anyone’s decor style. My personal favorite was the one centered in this image, it is the Frenchwood Larch tile. I think I circled the store at least three times, just enjoying all that they had to offer. But don’t think they just offer the pretty stuff needed for home refreshes, they also offer the necessities, like grout. 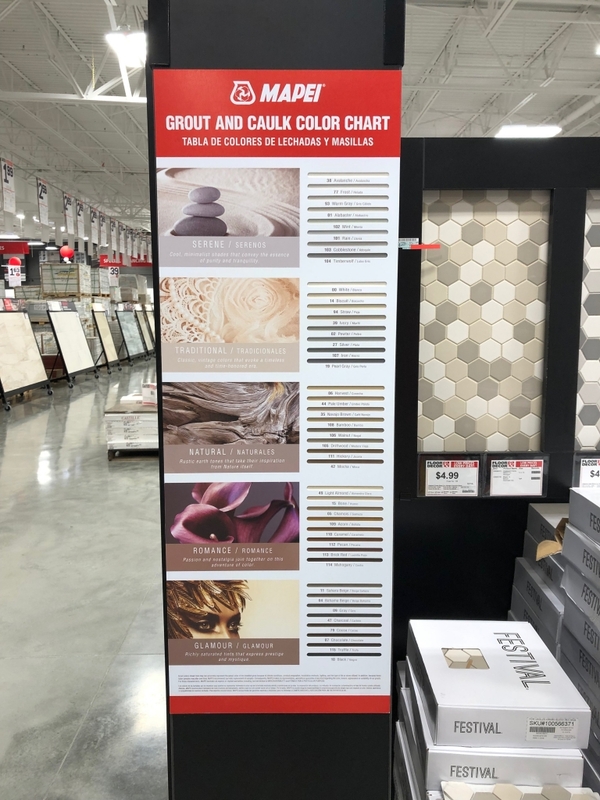 When using any type of tile, your grout selection is so important and can truly change the look of what you picked depending on the contrast you create with your grout lines. This was a huge decision in our newly done kitchen. Because I choose to do a stacked tile the grout lines could be very grid-like if I decided on a grout that was too dark. 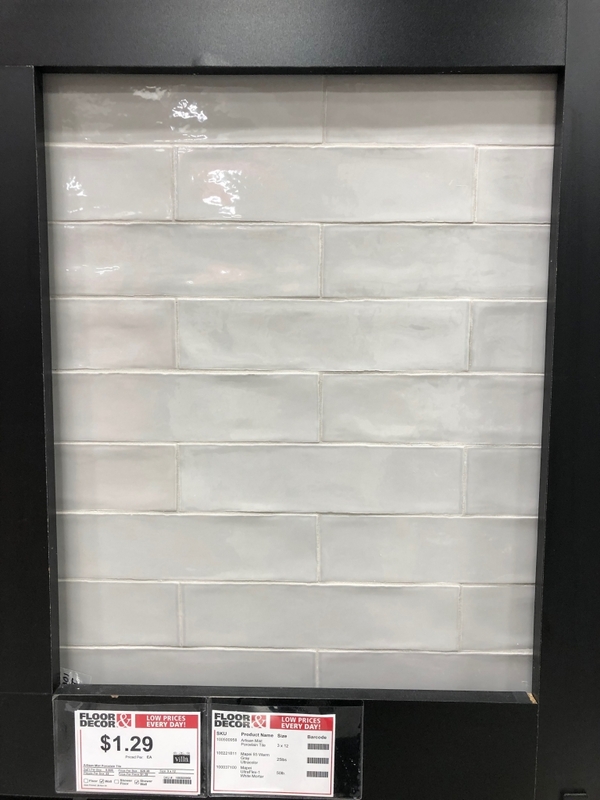 With the help of the displays at Floor & Decor I was able to see that the Mapei grout in frost was the perfect color for our kitchen. Are you ready to see our kitchen fully done??! Voila! 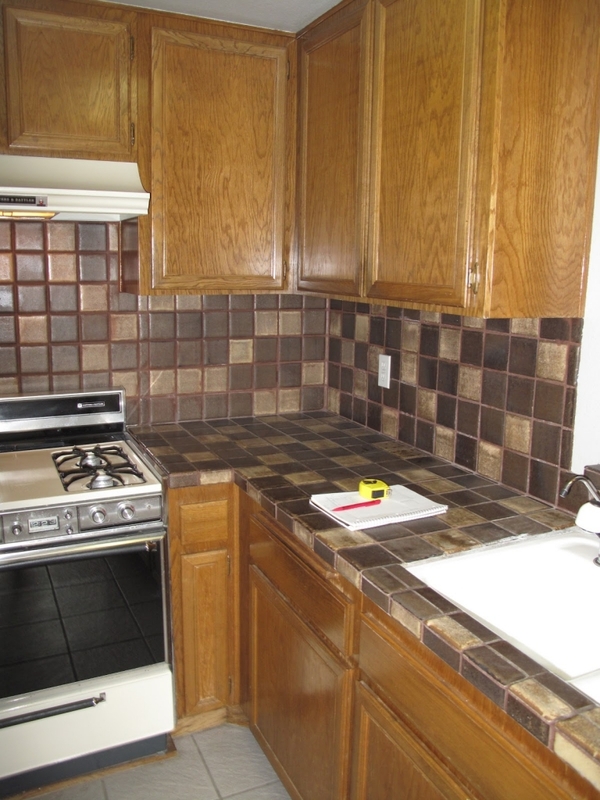 See what I mean about the grout color being so important? I just love the subtle contrast that was created with the frost color choice. 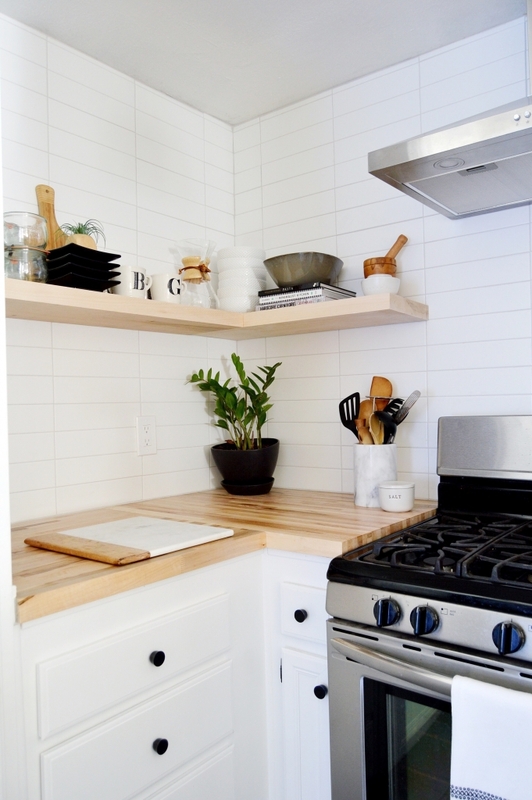 The butcher block countertops add the perfect touch of warmth to the modern design of the tile backsplash. 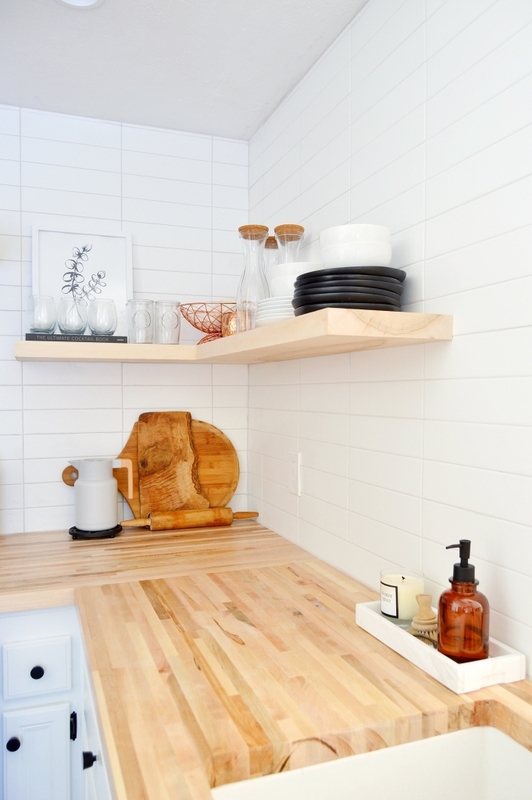 The meringue matte tile we chose is the true showstopper in our space. 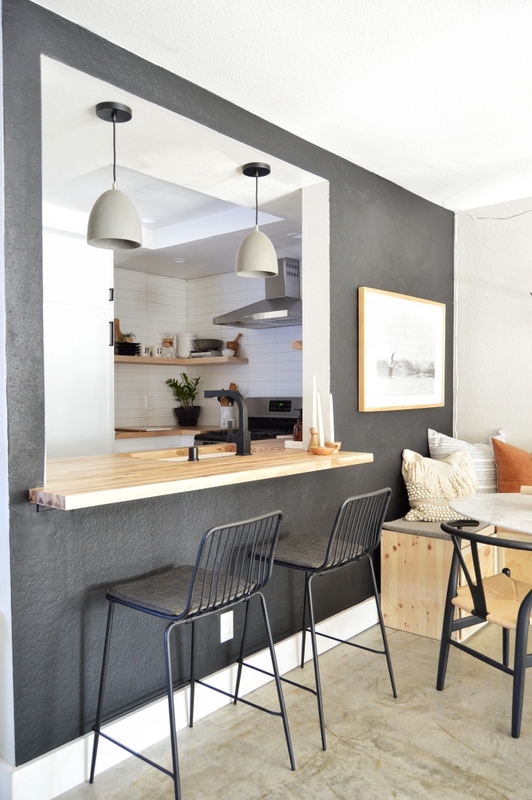 They visually elongated and elevated our small galley kitchen. 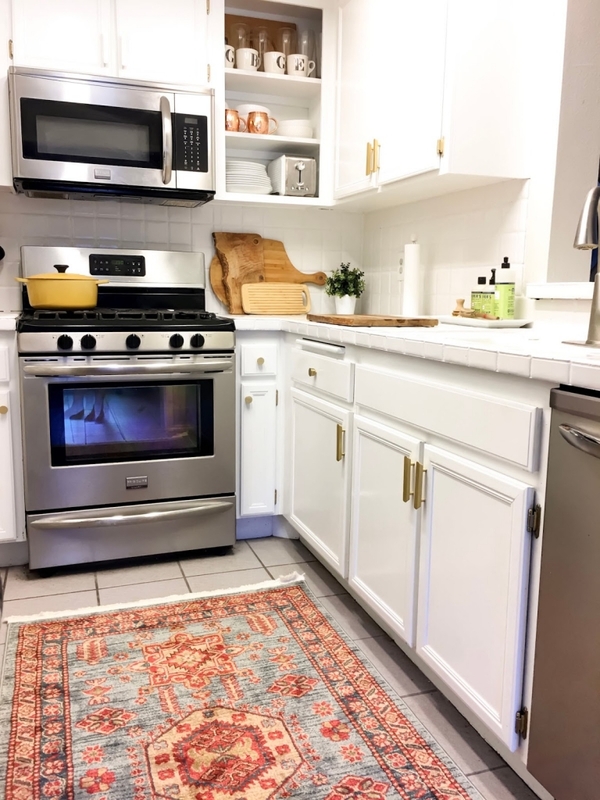 Now let’s all just remember the progression this kitchen has gone through…from the day we bought our condo, to the interim to now!